Range of agricultural products related to animal breeding, equestrian, animal health and pets. The equestrian range includes horse tack, clothing and grooming, while the animal health range makes provision for milk salve, disinfection and detergents. Completing the Animals and Livestock range is the poultry feeders, including accessories, crates and feeding systems. A comprehensive range of car care products, air and oil filters, lifting equipment such as bottle jacks and scissor jacks, lubricating equipment such as grease guns, oils and lubricants such as quick start, penetrating oil and belt dressing. It also includes tyre care products such as patches and solution and to complete the range some pre-packed automotive products under the Partrite brand. Q20, Spanjaard, GUD and Rema are important brands. Prodist is the distribution agent for John Deere clothing, toys and novelties. The clothing range includes a core men’s range of jackets, shirts, trousers and shoes but also exciting women’s apparel and kids clothing. John Deere toys are imported and distributed under licence of John Deere SA. A range of gifts and promotional items completes the Novelties range. The construction range includes of an array of adhesives found on the shelves of hardware stores and building material merchants. This includes all household adhesives such as Pratley, Bostik and Pattex as well as Alcolin glue, sealants, silicones and crack filler. The Electrical category currently consists of the acclaimed Philip range of lighting. A wide range of bolts and nuts, packed and loose as well cable ties forms part of the Fastener range. Paint is a focus category for Prodist. 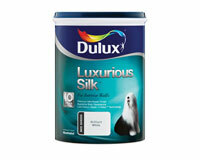 Top of the range is the well-known Dulux brand with supporting ranges in Duram, Deco, Embark and TM. The range makes provision for decorative and industrial paint, with tints and bases for mixers. Protective Wear includes overalls, rain suits, eyewear, gumboots, gloves and safety boots. Paint remover, thinners, and degreaser and cleaners forms part of the Solvents and Cleaners range. Waterproofing consists of the well-known ABE and Duram branded products of sealants, general waterproofing, membrane and primers. Wood sealants can also be found as part of the range. Agricultural and garden Irrigation are core categories. The comprehensive range of irrigation equipment includes all fittings, pumps, and a range of piping, electric motors, valves and taps. The Hunter and Rainbird ranges of timers, solenoids and sprinklers are the base of the garden irrigation range. 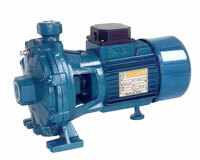 Wortex is exclusive to Prodist and consists of surface pumps, booster pumps, submersible pumps and submersible pump motors. Apart from irrigation, a large part of the range supports domestic water solutions, such as booster pumps and borehole pumps. Galvanised fittings and pipe are also used in the plumbing environment. Firefighting equipment includes fire fighters under the Agpro brand that fits on a bakkie or trailer and is widely used by farmers and municipalities. 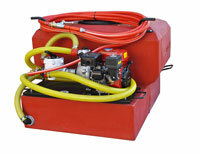 Fire beaters, accessories and spares complete the firefighting range. Products related more to gardening include knapsack and pressure sprayers, garden tools such as spades, forks, rakes and pruners under the Lasher and Agpro brands, a complete range of pesticides and insect killers under the Protek brand, fertilizer and fertilizer spreaders. A range of plant pots, plant bags, hothouses and rain gauge complete this category. An extensive range found in hardware and agriculture stores. Hand tools under the Hurricane, A-Kraft, Stanley and Gedore brands forms the base of the range and are complemented by abrasives – cutting, grinding and sanding supplied by Superflex and Klingspor, chain and cable, ladders and locks. Yale locks and safes are a recent addition to the range. Welding rods, other welding consumables, protective gear and inverter welding machines are found under the Afrox, Vitemax and Promax brands. The Black and Decker and Stanley Fatmax power tool ranges completes this important category. A diverse range of kitchen, garage, patio and garden utilities, consumables and equipment. Energizer batteries, torches and lights are an important part of this category. Eveready and Duracell have recently been made part of the range. Meat processing includes meat saws and spare parts, spices and biltong carvers under the Meat’o’Matic and Claassens brands. The swimming pool category makes provision for swimming pool pumps, cleaning equipment, filters as well as all accessories under the Zodiac and Speck brands. Plastic bags, storage, detergents and cleaners as well as bins and crates are sub-categories focused on kitchen and garage. A diverse range of camping equipment, braai and cook as well as outdoor furniture. The Basecamp brand forms the base of the category with a comprehensive range of camping chairs, beach chairs, beds, gazebo’s, camping cupboards, kitchenette, patio sets and camping tables. Alva and Ignite are important brands in the braai and cook category. 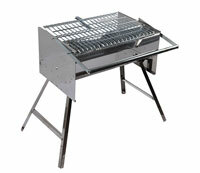 Gas braai’s, gas cylinders, braai briquettes and accessories such as lighters are included in this range. Cooler bags and fridges are distributed under the Coleman and Snomaster brands. Straps and Recovery includes ratchet straps, tow ropes and equipment and recovery kits. An extensive range of torches and lights are available under the Energizer brand. Sleeping bags, tents, gas cartridges, gas lamps and water purification equipment can be found in the camping category. This is supported by a range of insect repellent under the Bugger Off brand. A basic range of hunting accessories completes the range. A fast- growing range of engines, generators, and pump sets, lawnmowers, fertilizer pumps, trimmers, brush cutters, chainsaws and blowers. Prodist is an import agent for the world leader Yanmar brand of air-cooled and water-cooled diesel engines. These are supplied to OEM’s in Southern Africa. Generators and pump-sets powered by Yanmar diesel engines under the Agpro brand are available. Honda water pump units as well as petrol gensets, powered by Honda, branded Agpro are part of the range. The Talon 6.5kVA and 2.8kVa petrol gensets are well-trusted, with Talon an established brand in the South African market. An extensive lawnmower, brush cutter and trimmer range consists of Rolux, Wolf, Agpro products. Lawnmowers are petrol or electric driven, entry level to more industrial heavy-duty machines.